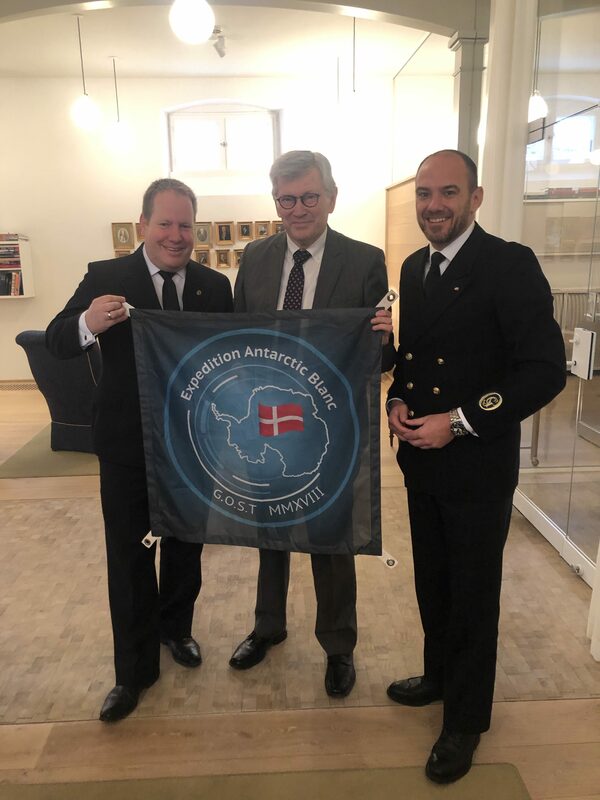 The honourable Private Secretary to Her Majesty The Queen, Henning Fode received the GOST delegation consisting of Antarctic Blanc’s Expedition Leader Jochen Werne and Chief Liaison Officer Götz Credé in Det Gule Palæ on Amaliegade. After the presentation of the results of the expedition – which was made possible to this extent thanks to the support of the Danish Royal Family – an inspiring discussion led to the common view that international understanding and public awareness are essential to solve important challenges not only around Arctic and Antarctic issues. 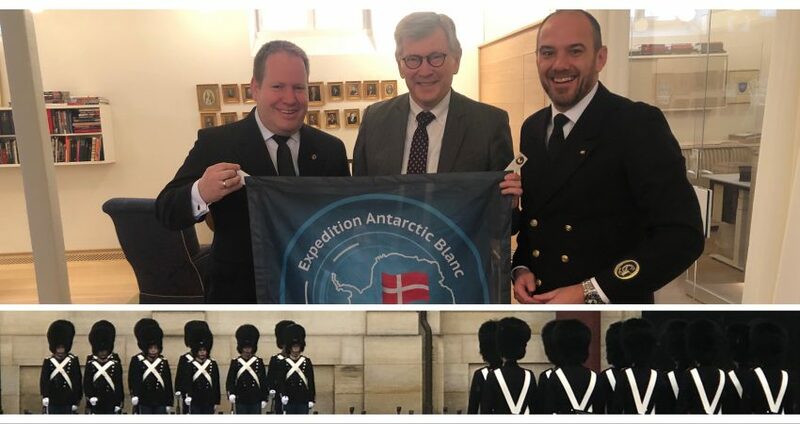 The delegation handed over the flag representing the Kingdom of Denmark and its values in the international community in Antarctica to Her Majesty’s Private Secretary. Mr. Fode thanked the delegation and announced that he would inform Her Majesty the Queen about the visit and present the flag to her. Expedition Antarctic Blanc is grateful for the excellent support of the Danish Royal House and the people of Denmark.